The Cougars are going to France! Madam Drewry is taking some of her students to France. Her purpose is to not only educate them on the language, but also on French culture. She has students signed up who are so excited about the trip that they want to leave tomorrow, but the trip is not until Spring Break. Madam Drewry is very excited too, She has been to France many times before and has taken a group of students with her but she says, ”This time it’s different because they are going to live with a French host family and shadow French high school students and see and learn French high school in person.” She has never had the students do this before so she is very excited. For first two days they will be in Paris; then they take a high-speed train that will take them through the countryside at 300km/h to their host city. Students will live with there host family and shadow the French students for 1 and a half weeks. 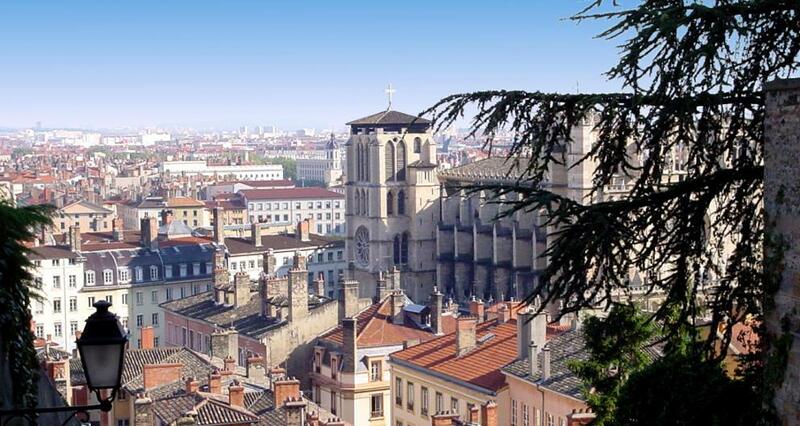 Then their next itinerary stop is called Lyon, the second-largest city in France, and they will be spending some time there to touring the city. Madam Drewry will be their tour guide for most of the trip. ​She also says that, It would be a educational trip because of the differences from where we live in Apple Valley vs. France. Here everything is so spread out and there it is more close together and it’s not as green here as it is there and the architecture of the buildings there is much different than Apple Valley or even Los Angeles¨ and there are many other differences as well. It is not only the visual differences that they will be seeing, but it will be behavioral and culturally different that they would be experiencing. For example, Madam Drewry says, ¨Some of the traditions that they do different than we do are, such as when we greet someone we often shake their hand, but there they kiss each other on the cheek¨. So this is not as much as a vacation for these students as it is a detailed learning experience. When asked what do you think the students will get out of this experience Madam Drewry said, ¨I hope that this will encourage students to travel more and be a positive learning experience¨.